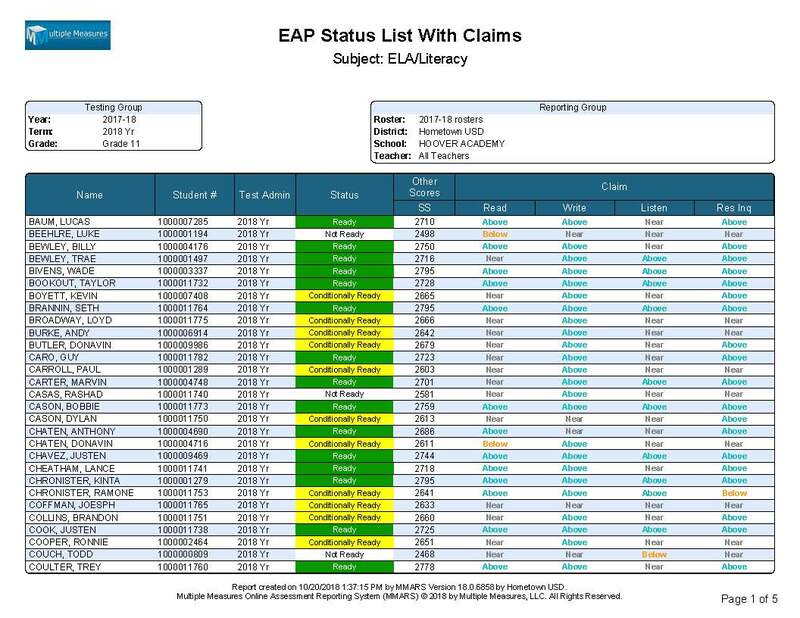 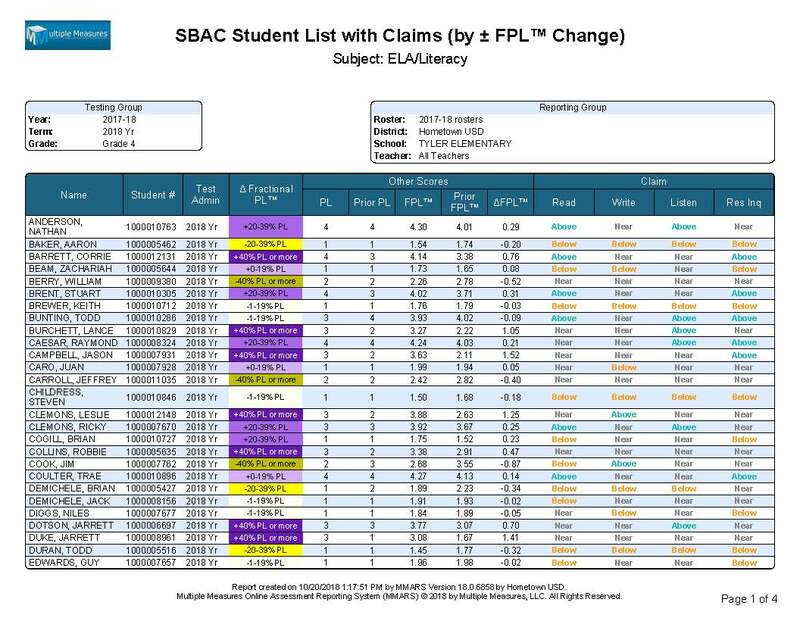 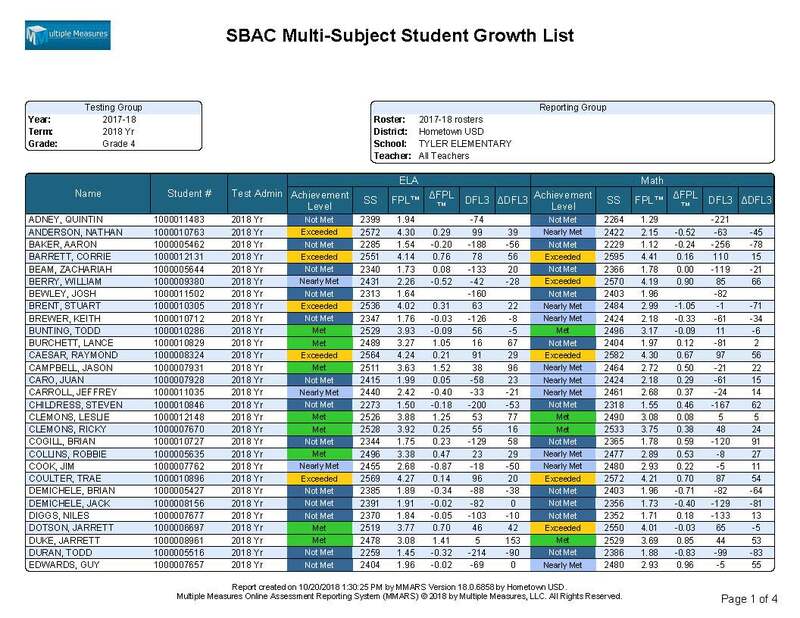 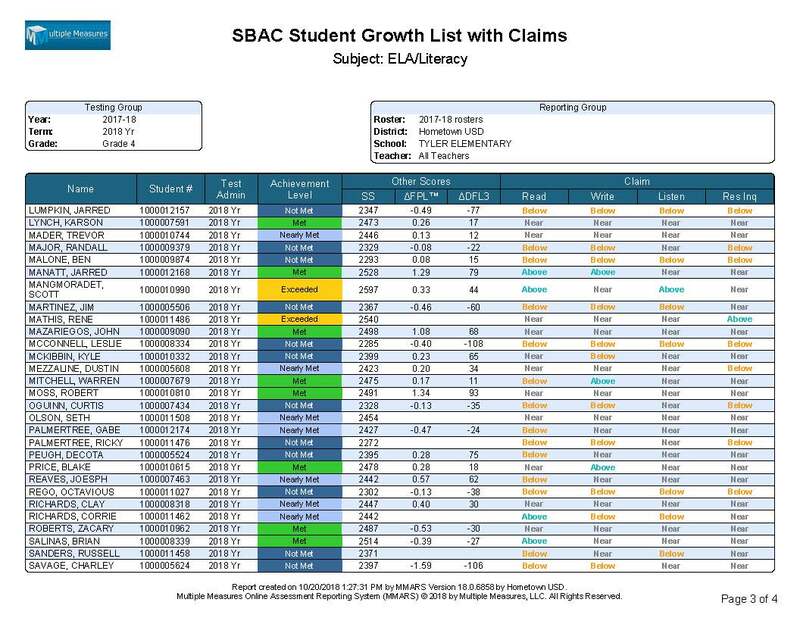 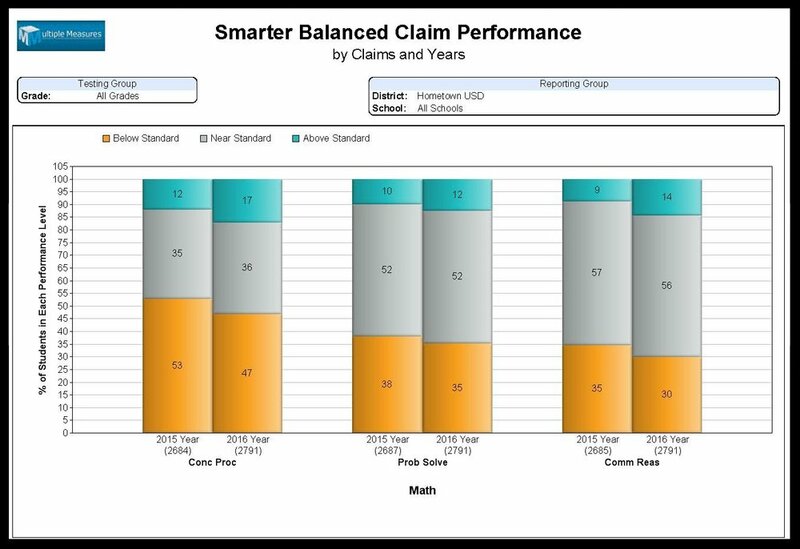 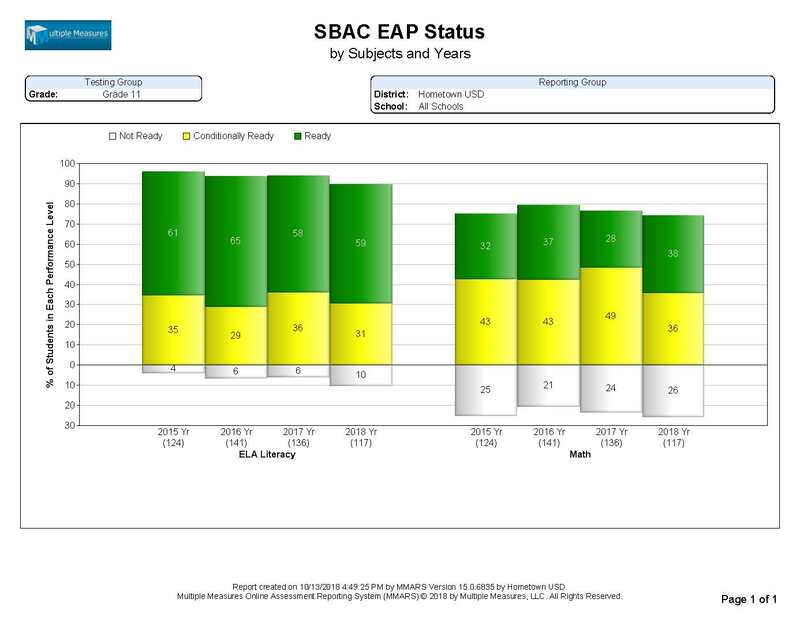 The SBAC Report Catalog provides examples of each of the reports available from the reporting menu. 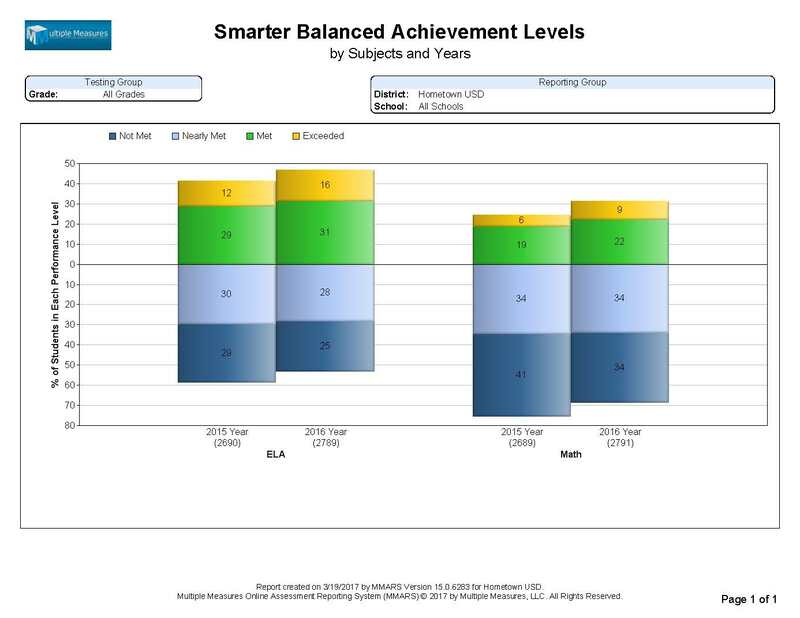 Note that most of the reports have several options for presentation (but putting all the possibilities here would be overwhelming). 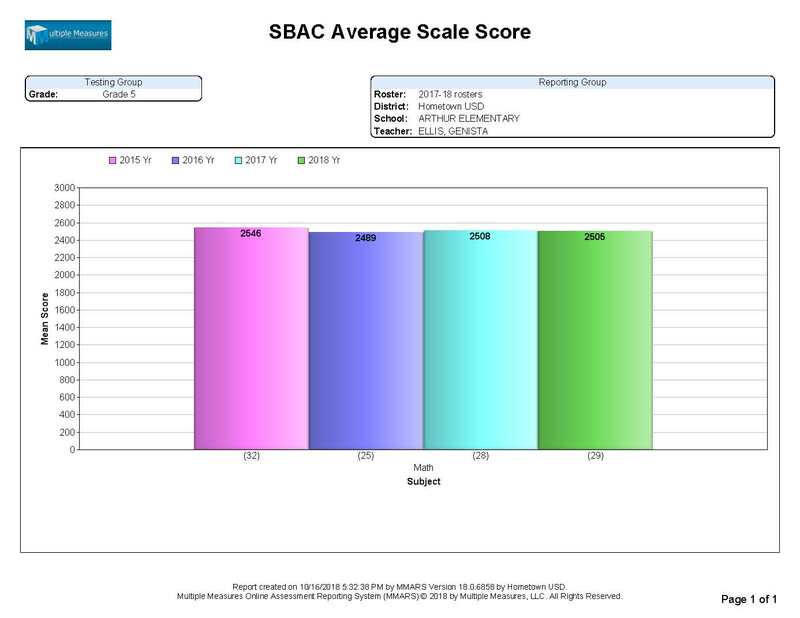 We pre-build the most commonly requested variations for you, but are happy to build exactly what you want; just ask. 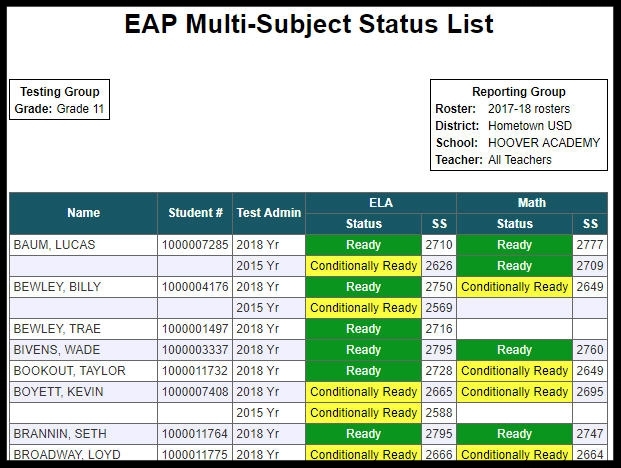 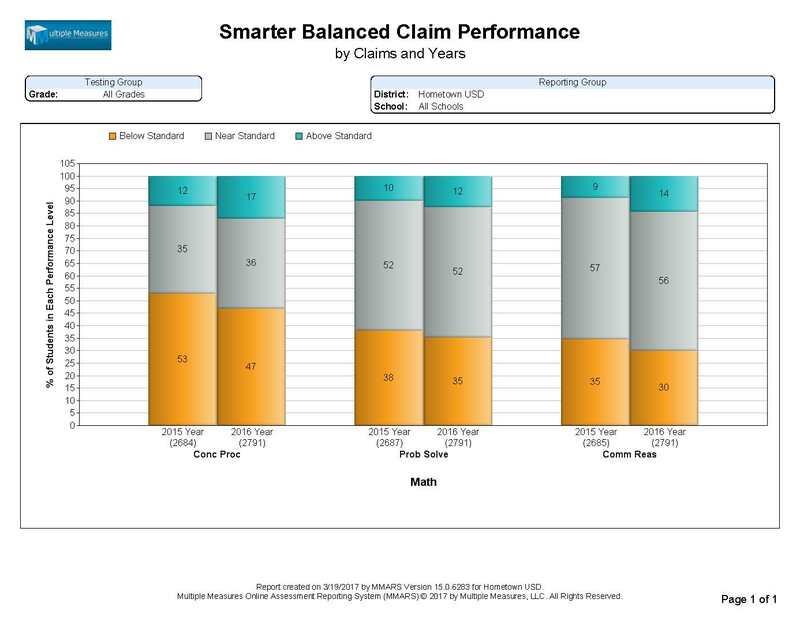 Jux™ summaries can change the side-by-side orientation to compare a variety of different entities, such as subjects, claims, years, terms, schools, grades, subgroups, and teachers. Student lists can display multiple years of scores, but if presenting only one year and subject, they can be ranked high-to-low or low-to-high. 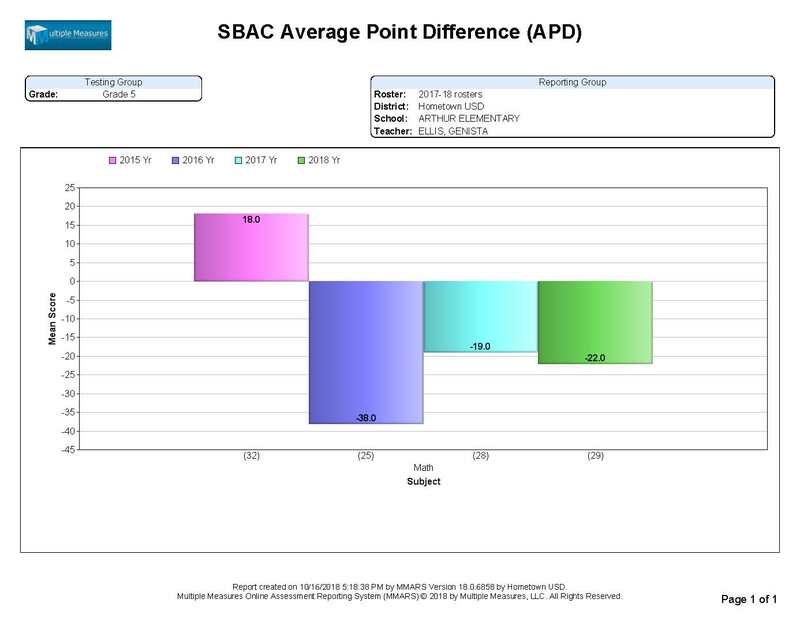 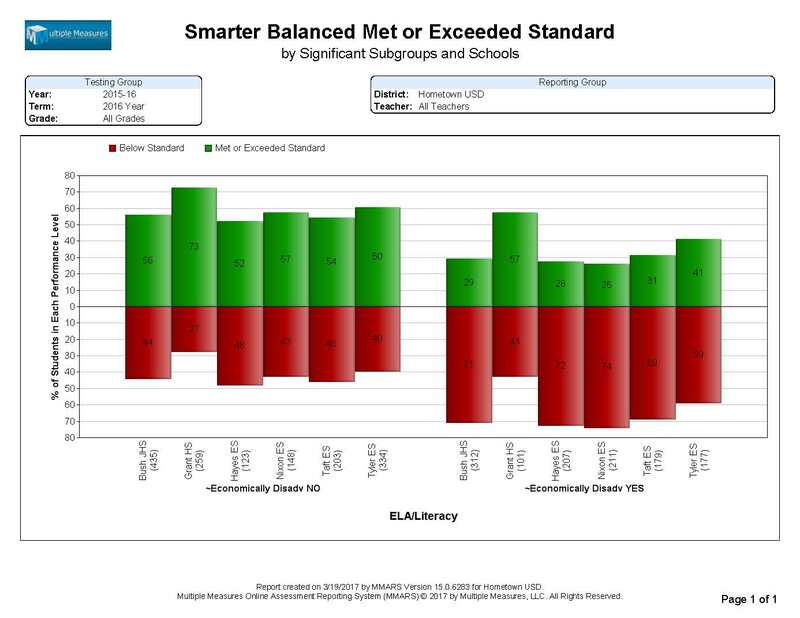 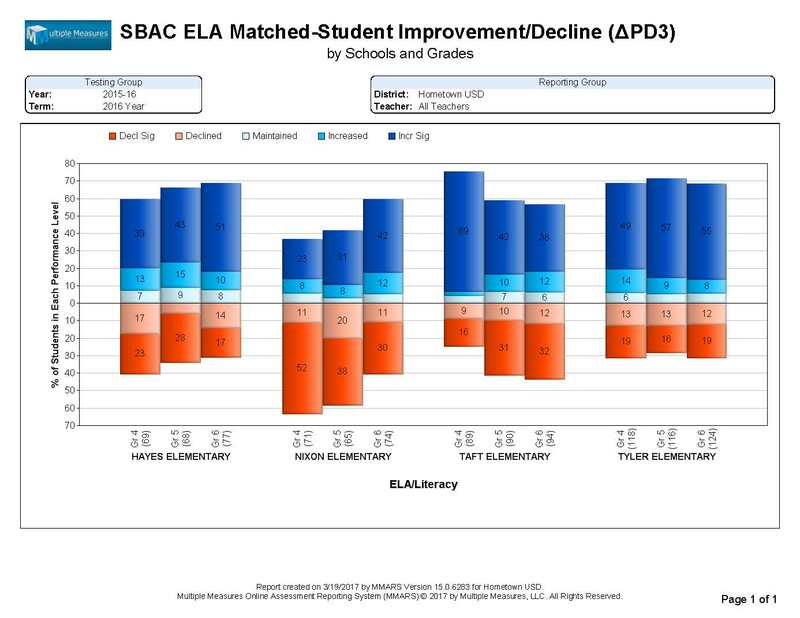 For help understanding the layouts of the reports, please see the SBAC Annotated Examples. 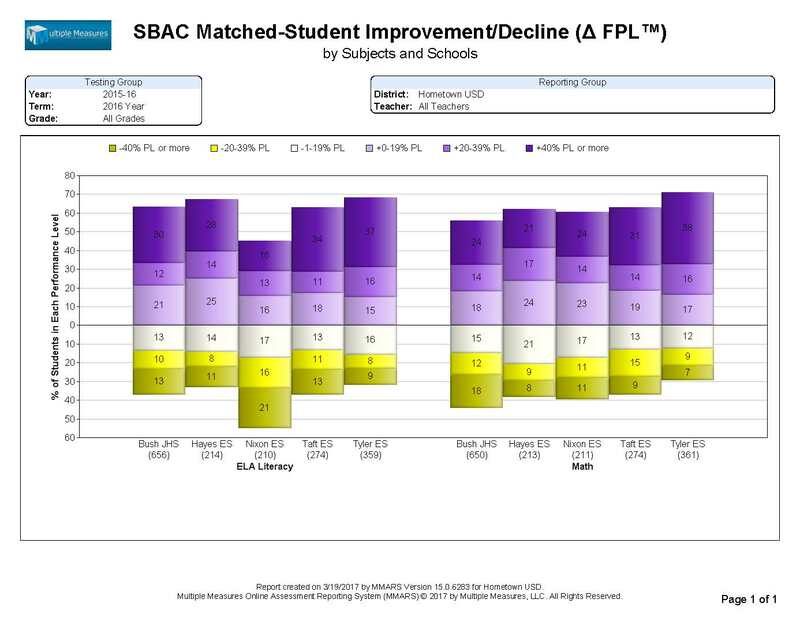 For help understanding the FPL™ and DFS change/growth scores, see our Growth Metrics page.